Some general scenes of Alaska outdoors. 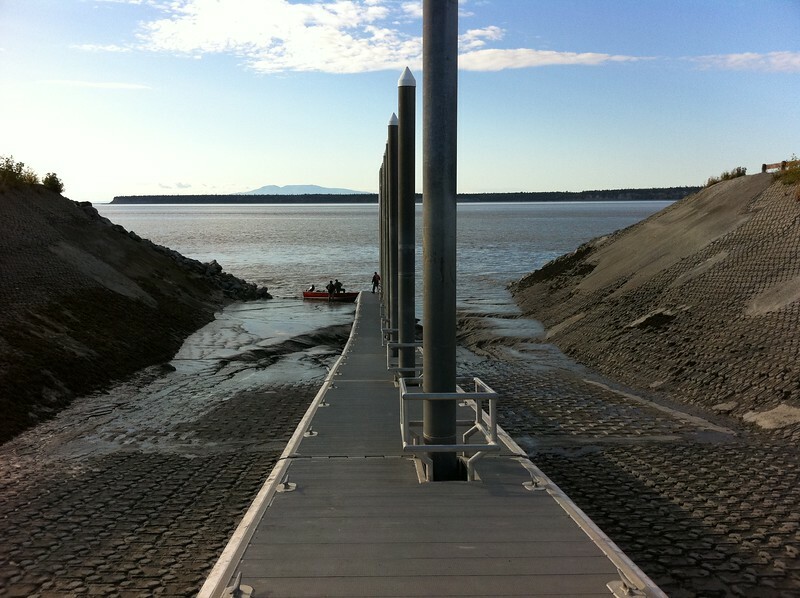 View from the dock at the small boat harbor on Cook Inlet in Anchorage, Alaska. The 'dock' in the photo rises and falls with the tide. Anchorage has the second highest tide in the world, sometimes reaching a change in sea level of over 39 feet in a six hour period on days when there is a full moon.